You know those finds that are just all-around game changers? The ones that make you go: Wow, how did I ever live without this? Well, I’ve had that "wow" moment with the same $25 Amazon buy two separate times—once when I initially got it, and a second time when I realized I should always pack it in my vacation suitcase. 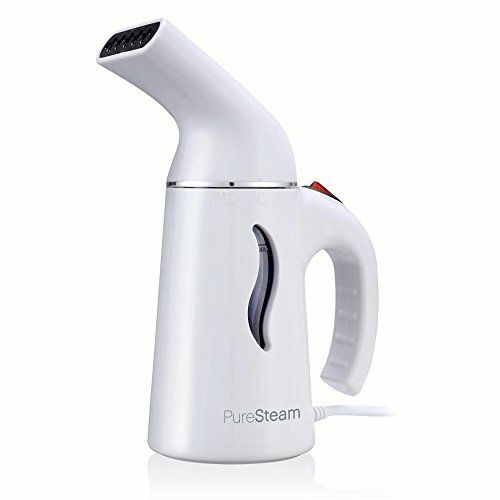 If you're wondering what it is, it's my beloved mini yet mighty steamer. Small enough to store in a drawer or pack in a carry-on yet strong enough to get the wrinkles out of pretty much anything, this incapable ironer underwent a serious style upgrade when she started steaming everything (and with ease, might I add?). Even better, I never have to pay to have things pressed when I go on work trips or to destination weddings—I can simply do it myself. To see the steamer (which, by the way, has four stars and almost 4000 reviews on Amazon) for yourself, and to shop my favorite vacation-ready pieces for the season, continue on below. Top and Polka Dot Cropped Pant ($148) available in sizes XXS to XL. Available in sizes 36.5 to 41. Want more travel tops? Read about my biggest airport outfit mistakes, and what I learned from each.